This report’s Points of Light typically comprise noteworthy actions taken by judges, lawmakers or other government officials to stem abuses of the civil justice system not detailed elsewhere in the report. While some state attorneys general let themselves be egged on by private-sector personal injury lawyers to hector businesses in their states with sometimes speculative and meritless litigation, the likes of which this report has detailed for many years, others, such as Arizona Attorney General Mark Brnovich, actually work to protect businesses from litigious parasites, such as those driving the growing disability-access lawsuits racket. When AG Brnovich got word from small businesses in and around Maricopa County that two ne’er-do-well, barely- managed-to-get-through-law school schemers – with the audacity to call their litigation mill “Advocates for Individuals with Disabilities” – had led approximately 1,700 cookie-cutter lawsuits alleging violations under the federal Americans with Disabilities Act (ADA), he took action. He intervened in the cases in August 2016 and managed to get them consolidated before one judge. Most of the cases were then dismissed because plaintiffs couldn’t even show they had ever visited the defendants’ businesses, much less suffered any injury. 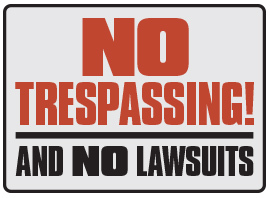 Then in November 2017 AG Brnovich’s office announced a settlement with the two plaintiffs’ lawyers that, among other things, ends their appeal of the matter, requires them to pay attorneys’ fees for those they sued and another $25,000 to the AG’s office for educating small businesses and remediating ADA-required signage. Most wonderfully, the settlement also bans these two bottom-feeders from ling any more ADA claims in Arizona forever. Bam! Following Arizona’s lead, both New Mexico Attorney General Hector Balderas and Nevada Attorney General Adam Laxalt have taken comparable actions in 2017 to crack down on these often fraudulent disability-access lawsuits. Let all three AGs’ actions serve as a model for their counterparts in other states. A unanimous three-judge panel of the U.S. Court of Appeals for the Fifth Circuit in September of 2017 reversed a record-setting federal False Claims Act verdict of $663 million in a case so willfully mishandled by the trial judge that it sunk the Eastern District of Texas into the ignominious rankings of Judicial Hellholes two years ago. The case, United States ex rel. Harman v. Trinity Industries, arose in 2012 when “relator” (plaintiff) Joshua Harman purported to “blow the whistle” on his once and future competitors at Trinity Industries Inc., alleging that Trinity had knowingly and fraudulently sold to the federal and state governments elements of a highway guardrail system that had been modified in 2005 but not subsequently tested and approved by the Federal Highway Administration (FHWA). Trinity defended the claim by showing that the design modi cation was recommended by the system’s engineers at the Texas A&M Transportation Institute (TTI) to “improve the product,” that the modication was “insignificant,” and that it did not need to be disclosed. Trinity also pointed out that the FHWA had already investigated for a potential FCA violation and promptly affirmed that the modified product was compliant with the agency’s standards. Accordingly, the federal government declined to join the plaintiff’s FCA lawsuit. Citing the U.S. Supreme Court’s 2016 decision in Escobar, Circuit Judge Patrick E. Higginbotham wrote that for a FCA claim to succeed, it must show that a defendant’s knowingly false and fraudulent conduct materially could have caused the government a loss. And since relevant FHWA regulations allowed TTI “engineers [to] use their judgment to determine that additional testing [was] not needed” to assure the safety of the modi ed product, Trinity sold the government only the sound, lifesaving guardrail system it had contracted to sell. “Disagreement over the quality of that [engineering] judgment is not the stuff of fraud,” the court said. More damningly, the opinion found that Harman had signaled to potential investors his “[intention] to use the proceeds [from the lawsuit] to recapitalize his business and begin manufacturing competing” guardrail elements. It also detailed why the $663 million verdict was both unjustified and without any basis in fact. So the reputation of an upstanding company that provides a reliable and affordable product protecting Americans all along our nation’s roads and highways has appropriately been restored. As ATRA’s amicus brief to the Fifth Circuit pointed out, 80% of FCA claims now proceed without the government joining private relators in their allegations against defendants. And even when defendants prevail, they are forced to incur considerable legal expenses. By way of historical context, the FCA was first enacted to punish and discourage Civil War profiteering and was sometimes known as “Lincoln’s Law.” But when the government concludes it has not been defrauded, false claims cases should end and there should be no awards for damages made to relators and their attorneys. They are the profiteers of today. Trinity should never have had to appeal such a verdict, much less endure roughly five years of very costly but meritless litigation. All judges must ensure that such costly FCA travesties are never repeated. Writing the majority opinion for a U.S. Court of Appeals for the Seventh Circuit panel in Eike v. Allergan, Inc., retiring Judge Richard Posner vacated class certification and remanded for dismissal a suit against six pharmaceutical companies that preposterously claimed eye drops manufactured by the defendants were “unnecessarily large” and thus in violation of state consumer fraud statutes. Plaintiffs shamelessly sought damages calculated as the difference between the price of purchased drops and the presumably lower price had the drops been appropriately less voluminous. As he often has, Judge Posner used a humorous analogy to note that the plaintiffs did not allege collusion or misrepresentation, only that the price of the drops may have been excessive because of their size. Comparing the eye-drops plaintiffs to ultimately dissatisfied individuals who purchased cats from a breeder who truthfully disclosed upfront all the costs of raising the cats, he called their complaint merely one of regret, not one in which an actionable injury occurred. He added that plaintiffs did not even have standing to bring the claim since they failed to allege “an invasion of a legally protected interest.” And since nothing in the complaint even suggested an injury caused by the defendant, class certification was vacated and the case was remanded with directions to dismiss the suit with prejudice. 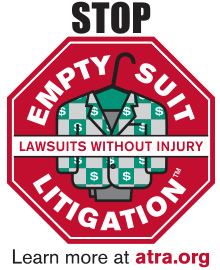 Parasitic class-action lawyers are tough to deter, but perhaps this Seventh Circuit decision will help limit what American Tort Reform Association general counsel Victor Schwartz calls “empty-suit litigation,” in which no real injuries to plaintiffs can be discerned. ATRA led an amicus brief arguing for the outcome ultimately reached by the Seventh Circuit. In a workplace asbestos lawsuit the Seventh Circuit affirmed a district court decision that, joining the Sixth and Ninth Circuits, excludes scientifically unsound expert testimony about medical causation. Before trial in Krik v. Exxon Mobil Corp., defense motions urged Judge John Z. Lee of the Northern District of Illinois to exclude Dr. Arthur Frank’s “any exposure” or “each and every exposure” theory of causation. This theory effectively purports that any exposure to asbestos, regardless of how miniscule or brief, should be considered a cause of injury. Judge Lee sided with defendants in finding under Daubert that the plaintiff’s exposure theory was insufficiently reliable to warrant admission since it was “not tied to the specific quantum of exposure attributable to the defendants” and ignored fundamental toxicology with respect to dose dependency. Justice Rives Kistler’s opinion in Barrett v. Union Pacific Railroad Co. for the Oregon Supreme Court reversed a trial court’s decision granting general jurisdiction over a case brought by an out-of-state plaintiff alleging an out-of-state injury caused by an out-of- state defendant. The plaintiff was injured while working for Union Pacific in Idaho, but brought his complaint in Oregon. 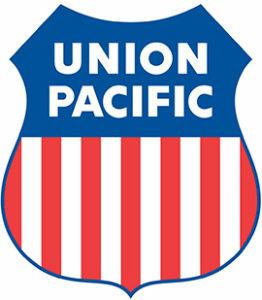 Moreover, Union Pacific is a Delaware corporation and does less than 4% of its business in Oregon. The Oregon Supreme Court held that a corporation doing business within a state is not on its own sufficient to give that state general jurisdiction over the corporation. Despite this positive decision coming out of Oregon, many other states have shown confusion and uncertainty in interpreting questions involving jurisdictional issues. Last year’s Judicial Hellholes report criticized faulty 2016 jurisdictional decisions by state high courts in California and Montana. Fortunately, the U.S. Supreme Court has since clarified jurisdictional standards, and this Oregon decision hews to high court precedent (see more on the U.S. Supreme Court’s 2017 jurisdictional decisions in Closer Looks, p. 64). A Louisiana federal jury in May 2017 took just over two hours to find that Johnson & Johnson and Bayer had not failed, as alleged, to provide adequate instructions to doctors who prescribed Xarelto. is verdict came from the U.S. District Court, Eastern District of Louisiana in the first bellwether trial of In re Xarelto Products Liability Litigation. This was the first decision of over 19,000 lawsuits in federal courts involving Xarelto generated by nonstop TV ads suggesting that viewers “Call Now!” to get compensation. Both defendants’ and plaintiff’s motions for judgment as a matter of law were denied prior to closing arguments. 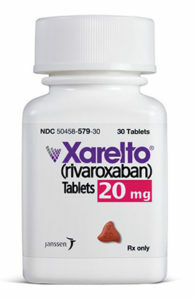 Xarelto was prescribed to plaintiff Joseph Boudreaux to reduce the risk of stroke. At trial, the plaintiff alleged that he developed gastrointestinal bleeding within a month after starting the drug and needed several blood transfusions. Further, plaintiff said that he was not warned that there was no agent to reverse uncontrolled bleeding. The defendants denied that they had failed to warn doctors of the relevant risks, and the jury agreed. Since that initial win, federal juries have twice more returned defense verdicts in Xarelto bellwether cases. The outcome of these trials is a positive sign for pharmaceutical companies that properly warn doctors of the risks associated with their products. Arizona extended the state’s lengthy-trial fund for another 10 years, assuring better compensation for jurors (H.B. 2246). Arkansas adopted consumer protection act reforms, including the requirement that plaintiffs prove they actually relied on a merchant’s allegedly deceptive conduct when entering into a transaction that resulted in a loss (H.B. 1742). Iowa passed two reforms: one that protects landowners from certain trespassers’ liability claims (S.F. 260); and another that requires asbestos plaintiffs to transparently provide documentation on any and all of their bankruptcy trust claims while also establishing threshold medical criteria so asbestos exposure claims by asymptomatic plaintiffs can be set aside (S.F. 376). Kentucky lowered the state’s prejudgment interest rate from 12% to 6% (H.B. 223). Minnesota passed disability-access litigation reform requiring that a business be given notice and 90 days to correct an alleged violation of the American with Disabilities Act before a lawsuit can be led (H.F. 1542). Mississippi (H.B. 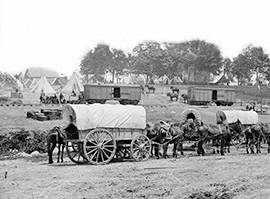 1426), North Dakota (H.B. 1197) and South Dakota (S.B. 138) created a right for asbestos defendants to obtain plaintiffs’ bankruptcy trust claims information. Missouri passed two reforms: one adopting the more exacting Daubert standard for expert evidence to keep “junk science” out of courtrooms (H.B. 153), and another allowing defendants at trial to introduce evidence of both the actual costs of plaintiffs’ medical care and payments already made by defendants or their insurers (S.B. 31). Montana lowered its judgment interest rate from 10% to the prime rate + 3% (S.B. 293). Oklahoma amended its e-discovery rules to mirror the changes made to the Federal Rules of Civil Procedure (H.B. 1570). Texas passed two reforms: one reining in rampant litigation fraud that has targeted property insurers in the wake of major storms (H.B. 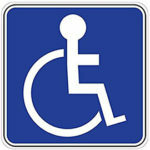 1774), and another requiring that businesses be given notice and 60 days to correct alleged violations of the Americans with Disabilities Act before a lawsuit can be led (H.B. 1463). West Virginia passed two reforms: one lowering the states judgment interest rate (H.B. 2678), and another limiting products liability for innocent sellers (H.B. 2850).